Saab’s recent history has been pretty torrid, but 18 December 2009 is a day that will live in particular infamy. Although the Koenigsegg deal had lately collapsed, everyone was hopeful GM would still find a buyer. It was the staff’s last day before the Christmas break. Then just before home-time, word went round that GM had decided to close Saab down. As oh-**** moments go, that was pretty epic. And that was that – for a few weeks, until Spyker’s well-connected boss Victor Muller stepped into the breach and Saab breathed again. But the months of uncertainty from summer 2009 coincided exactly with the final development phase of the 9-5. How on earth did the engineers keep motivated? And driving the car, can you tell? Does it feel like a Saab with a committed soul? The bad news is, in some cases no. It’s a good car, but in some versions the Saab-ness is woefully absent. The base-spec diesel is a big, solid, stylish cruiser. But it was developed under a huge GM global programme, and feels like it would make a perfectly satisfactory Vauxhall Omega. 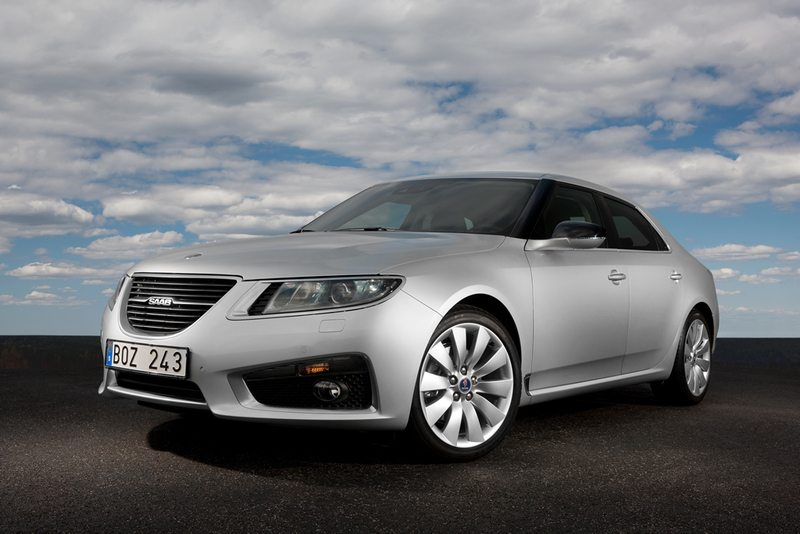 But move up the range, adding more power and carefully selecting from the chassis and interior options, and you get something more particular to Saab. The 9-5 makes a big impression. Literally. At just over five metres long, it’s 15cm more than even a Benz E-Class. Because FWD cars are naturally more space-efficient, this translates into absolutely colossal rear-seat room. That’s clear when you see it in a car park, poking its nose or tail beyond everything else. But seen out on its own the sheetmetal disguises it. Like wearing vertical stripes, darling. We like the 9-5’s style – the wraparound glass look is well done, with gloss-black screen pillars, middle pillars and even mirrors, so that nothing interrupts the tapering sweep. The tail also wears its bulk lightly, and doesn’t look like anything else. But the lower nose on the standard-spec car is a bit meek. It’s far better on the Aero version shown in these pictures, for a front-end that resembles Saab’s handsome recent set of concept cars. It needs the 19-inch wheels too, which are standard in that trim. I said it’s a big car. Inside, there are a few concept touches too, including the matrix screen in the middle of the instruments, which can be configured to be a rolling-barrel speedo like an aircraft’s altimeter. It works well when you need to get down to a speed limit. You can use the normal speedo and switch the matrix to other info, which you probably will if you’ve bought the optional head-up display. Three speedos is surely more than enough for any man. Design is fine, but some of the surfaces are a bit scratchy-cheap for tackling the Germans. It could be easily remedied. The price range starts with a 1.6 petrol engine, which sounds feeble but, because Saab is a turbo specialist, it makes a not-bad 180bhp. It wasn’t on hand when TopGear went to Sweden, so we had a crack at the cheapest of the diesels, a 160bhp 2.0-litre. For a car this comfy, it’s just about a civilised enough engine. But for a car this big and heavy, it doesn’t really have the poke to light our candle. It will crack 0-62 in 10secs though, and it does 139g/km CO2, so company drivers needing a low-tax big barge will be happy enough. Then there’s a twin-turbo diesel, and a turbo 2.0 petrol. Both these are high-tech engines and do good power: 200bhp (TTiD) and 220 (petrol). On paper. Unfortunately they’re weren’t ready yet, so when we wanted a swift zip through the undulating roads of the Trollhattan region’s pastoral countryside and forests, it was in the 2.8-litre turbo petrol with four-wheel drive. The V6 has 300bhp, but the car is a lot heavier than the basic diesel, so it’s still no rocket. But it’s sophisticated. The front suspension is by what Saab is calling HiPer struts, which is the same idea as a Focus RS or RenaultSport Megane – it cuts torque steer and isolates the steering from ridges and camber. The back suspension is a multi-link set-up, and there’s four-wheel-drive as standard, with an optional e-diff at the back. Adaptive dampers are fitted to the 2.8 as well. The front and rear suspensions and the 4WD systems were developed by Saab and they’re hardly used across the related GM cars. And they work. It’s a heavy car, but we never got it to wobble about. The steering is calm and precise, the stability good, the grip unfailing. It’s a solid and reassuring car. Doubtless exactly what you’d want if you’d ploughed £38k into a big Swedish saloon. I’m not looking for a car like that though, and for my taste it feels a bit inert. You can throw it with abandon round a corner, and do safe zig-zags even when it’s slippery. But even when you hit the sport switch – which sends more torque to the rear, among other things – there’s no sense of the car feeling light on its toes. There’s little seat-of-pants sensation. This isn’t a Jag rival then. Nor is it meant to be. In fact, through tight bends, the diesel feels more agile, because it doesn’t have the mass of the extra cylinders or 4WD kit. But it does without the fancy suspension too: it has ordinary MacPherson struts at the front, and fewer arms at the rear. This was a decision taken in the GM days when Saab could pick’n’mix stuff from the GM parts set. But now it’s independent, Saab ought to simplify its purchasing and put the best suspension design on all versions. That would sharpen up the steering, improve the ride, and mean that the dull chassis on the base versions won’t kill the reputation of the posher ones. And stop the taunts of ‘Underneath it’s just an Insignia’. Meanwhile, I’m waiting for the 9-5 estate, with the twin-turbo diesel. That’ll make sense of the car. It’ll surely be smooth, big, relaxing, big, stylish, decent to drive, big and economical. And big.